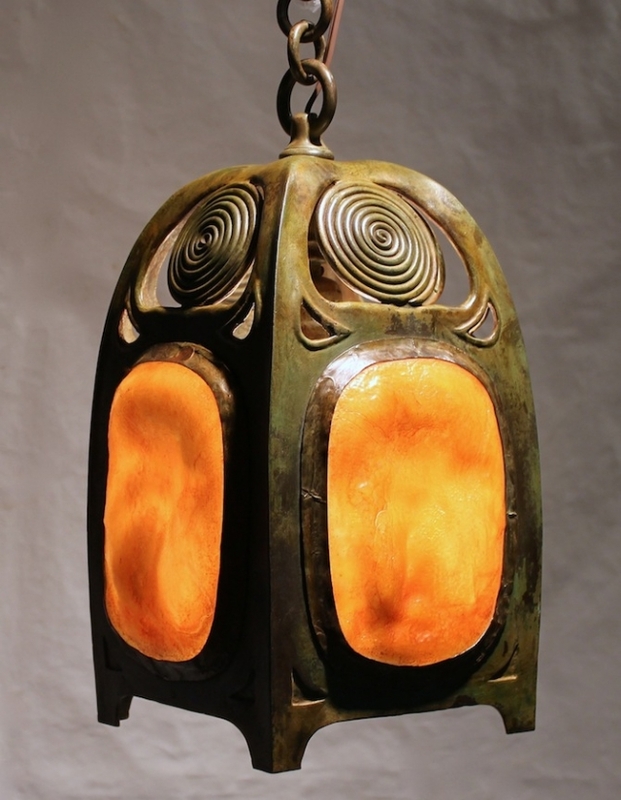 In April we created several Turtleback Hanging Lanterns w/Swirls for different clients. 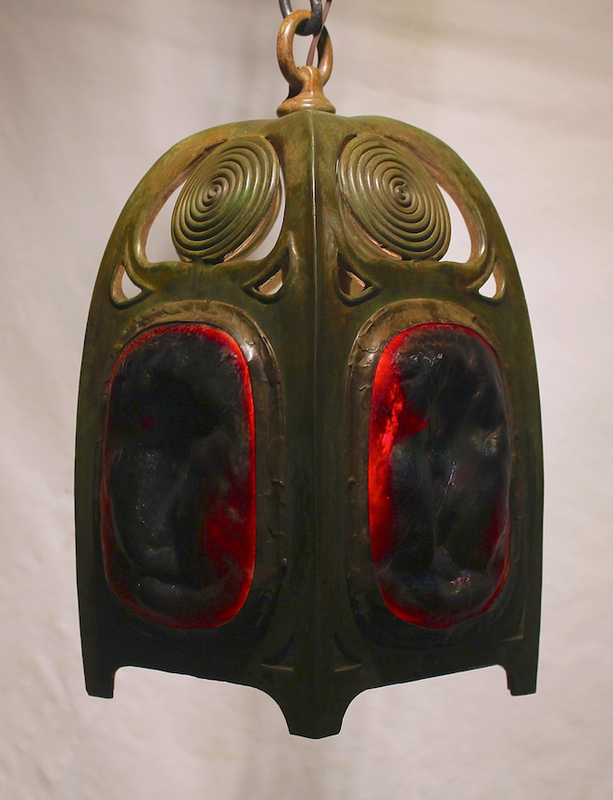 The lanterns are cast in bronze here at our studio using molds taken from an original Tiffany example. While green is a popular turtleback color, we often use other colors for lanterns and shades. 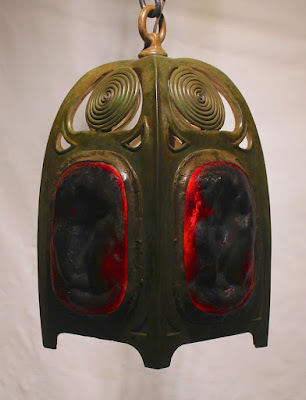 The lantern with the dark cherry red turtleback tiles was created for a client in California. The lantern with the light golden turtleback tiles was made for a local client.